Another variation on my signature mini-link style. If you look closely, you'll see that I've taken an oxidized, silver-tone chain, and one-by-one hung a mixed-metal ring-on-a-ring from each link. 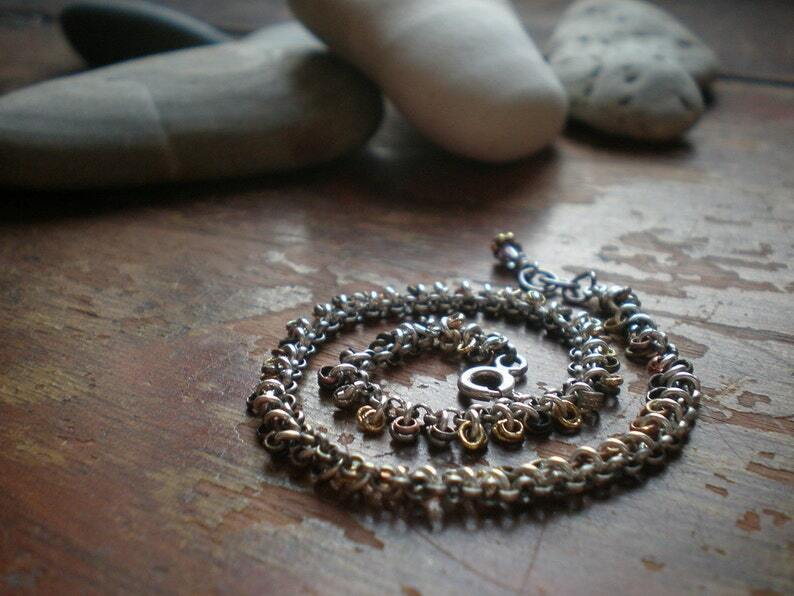 The result is a rustic, earthy, everyday bracelet that will go with any outfit. The clasp is sterling. This bracelet will sit nicely on a 6" or 6-1/2" wrist. ≜ Pin it on Pinterest!